Demographic trends are a powerful change agent in development. The theoretical basis for the relationship between demographic change, economic growth, and human development is well established. Since the 1980s, growth rates in high-income and characteristically aging countries decreased steadily while youthful nations –most of them lower-middle-income countries – witnessed accelerated economic growth over the same period. Accounting for some 60 percent of the world’s total population, Asia has witnessed the most rapid demographic change in the world since the 1970s. However, there is considerable diversity in demographic profiles. Most low-middle-income-countries have a youthful age structure, like in Pakistan and the Philippines. On the other end of the spectrum, high-income countries, such as Japan or the Republic of Korea, are aging rapidly. Striking contrasts also exist within individual countries between more affluent and poorer regions. 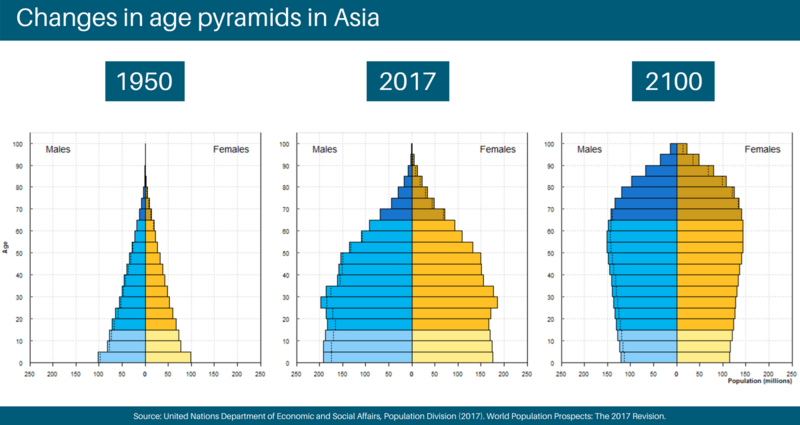 Overall, the trend across Asia follows the demographic footsteps of advanced western economies: as countries grow older they get wealthier, more urbanized, and larger segments of educated women join the labour market. Favourable demographics are sometimes referred to as the “demographic dividend.” This term describes a window of opportunity that opens up in the demographic trajectory of youthful countries. It is characterized by a large working age population, which supports fewer children and a small generation of elderly persons. Countries in this transitory demographic situation in Asia are mostly low-income countries (e.g. Cambodia) and lower-middle-income countries (e.g. India, Indonesia). The extent to which benefits for socio-economic development associated with this configuration can be captured depends on a number of factors, including the country’s ability to create sufficient numbers of productive jobs. High youth unemployment rates as well as an expansion of the informal economy across South East Asian and South Asian countries since 2000 have signalled the difficulties countries face in adapting to rapid demographic changes. Challenges are different for countries characterized by an older population. In China, Japan, or Korea, for example, fertility rates are below replacement level. As a result, the share of the working population is smaller and old-age dependency ratios are higher, and rapidly increasing. In a 20 to 30-year perspective, the concern is the sustainability of productivity levels and living standards. Upper-middle-income countries such as Malaysia or Thailand are moving towards similar scenarios that will unfold around 2050. These countries find themselves under pressure to reengineer public policies and reconsider their spending priorities, with competition among social sector budgets for education, health, and care for the elderly increasing. Demographic change affects education service demand and provision in Asian countries in several ways. Regarding school education, declining birth rates combined with migration from rural to urban areas, or urban centres to satellite towns, are challenging the viability of schools in many places. Youthful nations such as India, but also middle-income countries like Malaysia, continue to plan for peak capacity in the face of a declining child population. Operating a large network of small schools implies low cost-efficiency and less public resources available for reinvestments into quality improvements. Aged nations like China or Korea attempt to adjust to the demographic transition by introducing “rationalization” measures such as school mergers or more cost-efficient utilization of teachers, all of which introduce new challenges for sector management and teaching-learning quality. Vocational and skills training at upper and post-secondary level are back as policy priorities in developing nations across Asia. This is to take advantage of the “youth bulge” for economic development, to facilitate access to gainful employment, and to preserve social stability by taking youth off the streets. Advanced aging nations are exploring options to restructure higher education programmes and institutions threatened by shrinking student numbers. They work at increasing the labour market participation of “untapped pools of labour,|” a priority target group being women, and raising levels of skills training. Debates about public spending priorities often evolve around the question of whether education budgets should be reduced because student numbers are shrinking, or, to the contrary, increased to raise education standards and learning outcomes to improve labour market productivity and international competitiveness. The Country research teams’ report will be available soon on this page. Between May 2015 and November 2017, IIEP undertook a project on the implications of demographic change for education service provision, policy, and planning. 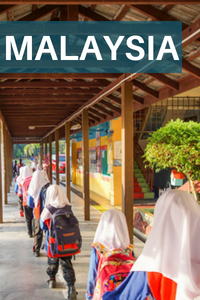 The Government of Malaysia under a Malaysia-UNESCO Funds-in-Trust program sponsored the research. Three specialized national research and training institutions participated in the study: The Institut Aminuddin Baki (IAB), Malaysia; the Korean Education Development Institute (KEDI); and the National Institute for Education Planning and Administration (NIEPA), India. Illustrative case studies were prepared for three countries in Asia that display different demographic profiles: India, a youthful low-middle-income country, getting ready to reap a demographic dividend; the Republic of Korea, a high-income country and fastest aging nation in the world; and Malaysia, an upper-middle-income country in its late demographic transition. 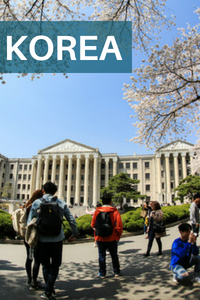 The research investigated for each country past and projected demographic trends, education enrolment pattern, service provision and demand, and policy debates. The full report covering the three country case studies prepared by the national research teams will be made available soon. Three synthesis of case study findings prepared by IIEP can be accessed on this page (see above). The project also produced resources that can help facilitate similar research in other country contexts. These include a glossary of essential demographic terms for educationists; a description of main drivers of demographic change and how they affect education provision, with examples from Asia; a bibliography containing a selection of publications and reports useful for designing the research; and methodological guidance and tools developed by the project.